WORLD'S MOST POWERFUL MAGNETS N52 Neodymium Iron Boron Magnets. The magnets require more surface area than the magnets alone provide in order to lift their maximum lift weight. The magnets require more surface area than the magnets alone provide in order to lift their total lift weight. WORLD'S MOST POWERFUL MAGNETS >>> N52 Neodymium Iron Boron Magnets These are 3 coating Nickel Plated and have a very smooth finish. You get FOUR (4) 1/2" x 1/2" x 1/2" CUBE MAGNETS that have a. The magnets require more surface area than the magnets alone provide in order to lift their maximum lift weight. (each can lift over 7lbs. 1/4" Cube Neodymium Iron Boron Magnets. The magnets require more surface area than the magnets alone provide in order to lift their total lift weight. plated with Nickel. ). 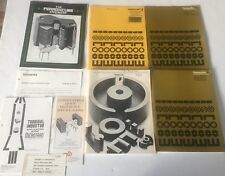 2 manuals are the linear ferrite materials & components one is a 1st Edition. The other one is a 6th edition 1980. 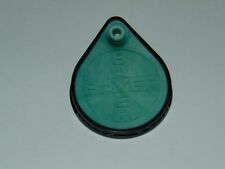 Bayer Magnet Magnetic Clip 4 1/8"
Has the Bayer logo on it, seems to depict a product of some sort. .
His main discoveries include the principles underlying electromagnetic induction. THERE IS ADVERTISING TEXT ON THE BACK! THE IMAGE ABOVE IS LARGER THAN THE CARD. IT IS NOT PERFECT AND THIS CARD MAY HAVE ONE OR MORE OF THESE. THIS IS AN ORIGINAL c80 Y/O TRADE - ADVERTISING CARD. THIS CARD IS c80 YEARS OLD. ELECTRO MAGNET WITH LIFTING 26 TONS CAPACITY. THERE IS ADVERTISING TEXT ON THE BACK! SURFACE CREASE. THE IMAGE ABOVE IS LARGER THAN THE CARD. These are Neodymium magnets also known as rare earth magnets. 100 1/16" by 1/32" (With coating, the actual size is 2mm by 1mm) Disc Magnets. These magnets are great for science projects, crafts, and other ideas that you may need magnets for. I do make mistakes and I will make it right if my fault. I do best I can to insure this is right. I will try to make it as efficient as possible but I need to make sure it gets to you in as good as condition as I send it out in. 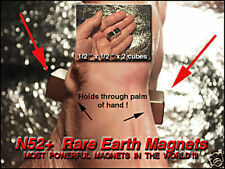 These are Neodymium magnets also known as rare earth magnets. These magnets are great for science projects, crafts, and other ideas that you may need magnets for. 100 1/4" by 1/16" Disc Magnets. Nickel Plated- to protect against chipping and breaking. THIS IS AN ORIGINAL c80 Y/O TRADE - ADVERTISING CARD. THIS CARD IS c80 YEARS OLD. COSMIC RAY RESEARCH ELECTRO MAGNET WEIGHING 11 TONS. THERE IS ADVERTISING TEXT ON THE BACK! SURFACE CREASE. THE IMAGE ABOVE IS LARGER THAN THE CARD. 2-PIECE Set Rattlesnake Eggs "Singing Magnets". Strong RUB THESE TOGETHER AND IT SOUNDS LIKE A RATTLE SNAKE! It including many physics principally, anti-gravity, gravity, it will improve children's patient, hand-making capability. clear disc and remove it leaving the UFO spinning in midair! Magic UFO! 1 Magic UFO Platform. NEODYMIUM MAGNETS ARE NOT SAFE FOR CHILDREN. ADHESIVE Backed - One side is coated with quality 3M adhesive glue. Magnetization:Through Thickness.